Came across a bunch of stuff in this one, mostly notes on birth and death days. 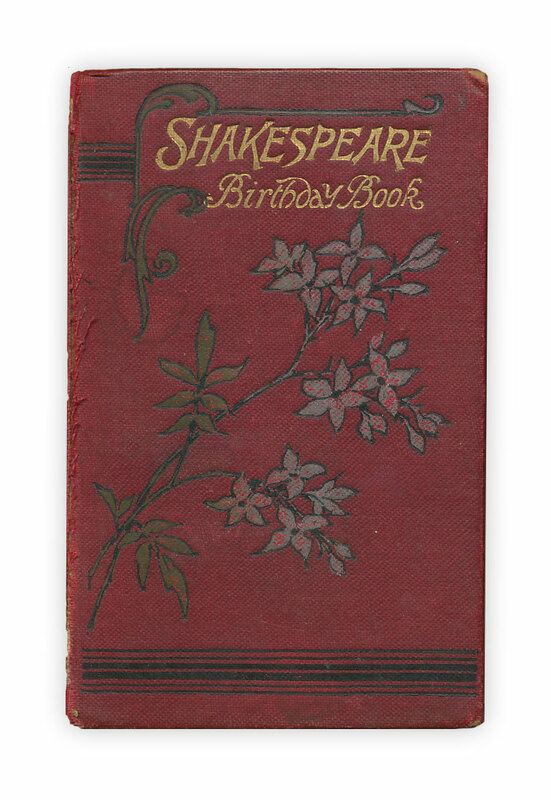 Found in "The Shakespeare Birthday Book" published by E. Nister, London. No date, circa 1890. 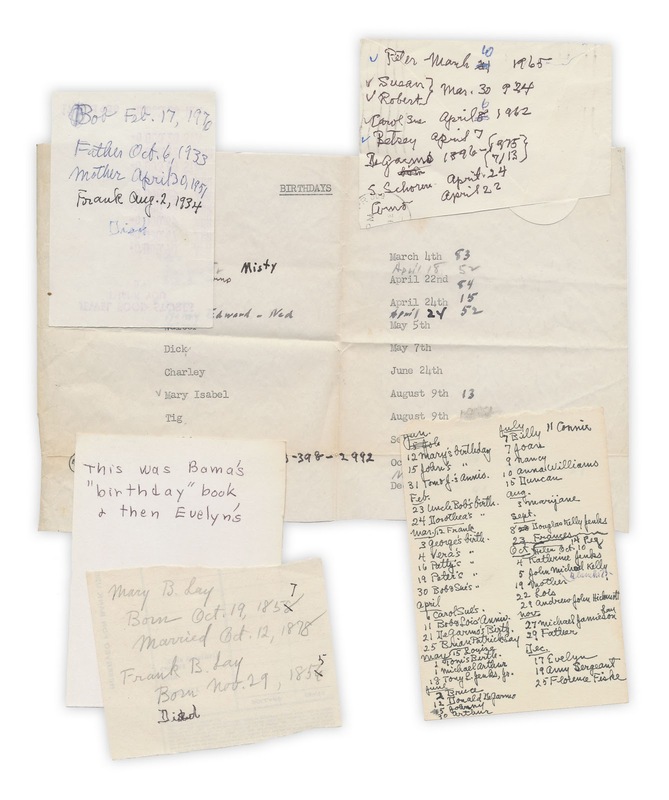 Freaky thing, probably coincidence but ...my grandmother's name was Mary Isabel and she had a brother named Charley ...do you have any more info about where this might have come from? I'll take a look when I get back to the store tomorrow. Only last name I can find in "Hickmoth"
I am almost positive this is my grandfather's handwriting. My grandmother's name and Birthday are correct as well as other family and friends. Do you still have this material and the book? Do you know how it came into your possession? email me at jflanag at gmail dot com. I have forwarded the link to my father to verify some of the other names as well. The dates for Mary in the 1800's coincide with my Great-grandmothers info, I think.